Hi again, The 36th Avenue readers! It’s Jill again from Create.Craft.Love! I am so excited to be back here with all of YOU! 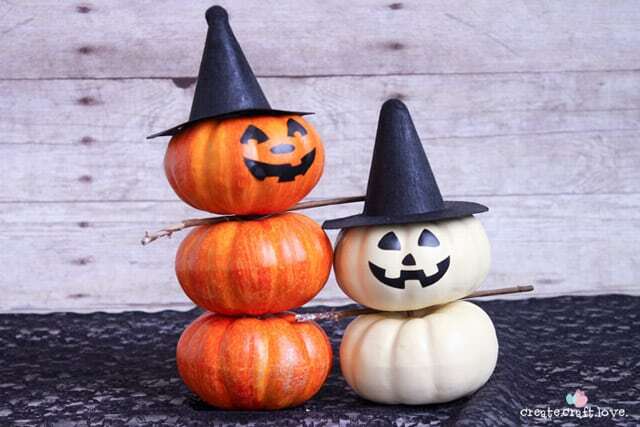 Today, I am sharing a fun, quick and easy Halloween post! 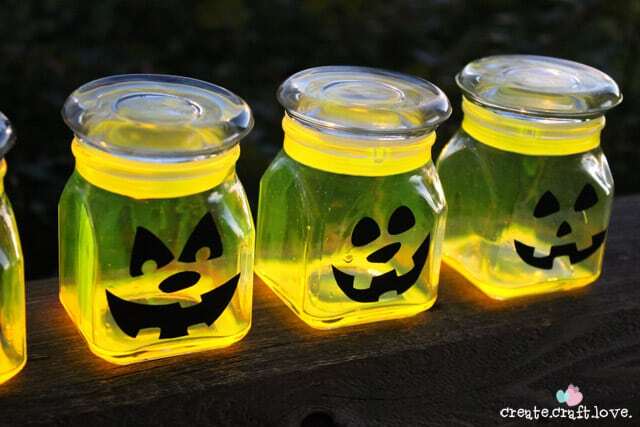 These Glow Stick Pumpkin Jars will be the talk of the neighborhood on Halloween night! Wanna create your own Glow Stick Pumpkin Jars? Disclaimer: This is a messy project! Definitely requires parental supervision! To begin, I used my Cameo to cut out jack-o-lantern faces out of black adhesive vinyl. You can cut these out with scissors too. Adhere the faces to the outside of the glass jars. For this project, you will need to carefully extract the glass rod IN TACT. 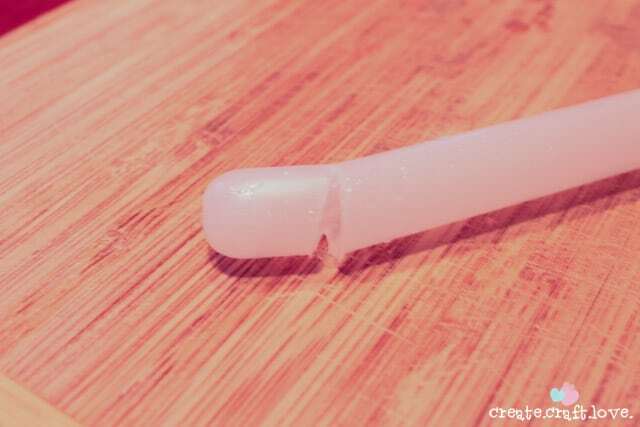 Using a cutting board and knife, cut the end off the plastic tube. Pour the clear liquid in a plastic cup. Using oven mitts, gently break the glass rod containing the colored liquid into the same plastic cup. 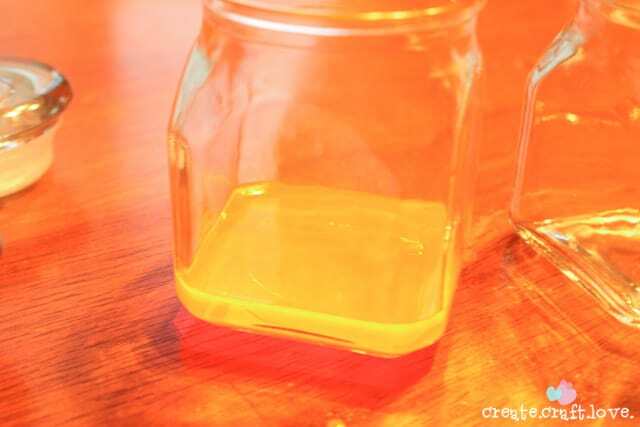 Pour a tiny amount of the mixed liquid into one the glass jars. Glue the lids on with E6000 glue. Allow about an hour to set. 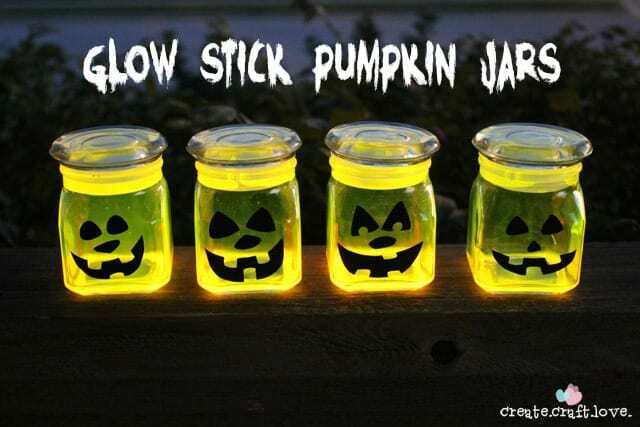 Then swirl the liquid around in the jar to create your own Glow Stick Pumpkin Jars! Mine stayed lit for about six hours. So this is a last minute project with a BIG effect! 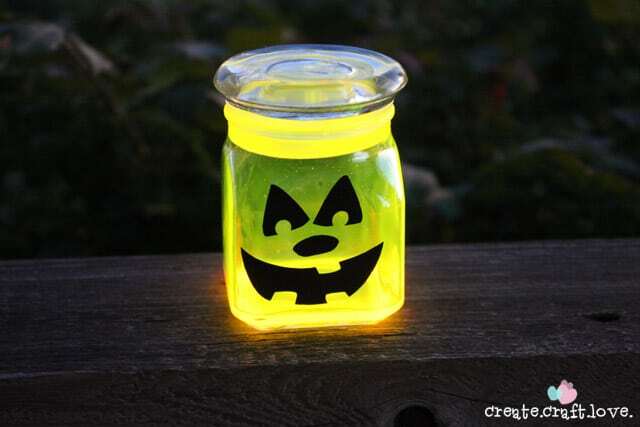 If you liked these Glow Stick Pumpkin Jars, I hope you will stop by Create.Craft.Love. to see some of my other Halloween creations! My kids are jumping of joy after seeing this Halloween Project. Make sure to visit Jill today and follow along with her on Facebook, Twitter, Pinterest and Instagram! You are going to love her blog! Wow these look so effective! Such a clever idea. Thanks for sharing! This is such a cute idea. My boys will love to have these on our front porch for Halloween. Such a great Halloween project- I love this idea! These are adorable. Thanks for the tutorial. Will be making these soon! The pumpkins are SO cute! I’m saving this to try with my nephew! Have a great weekend! 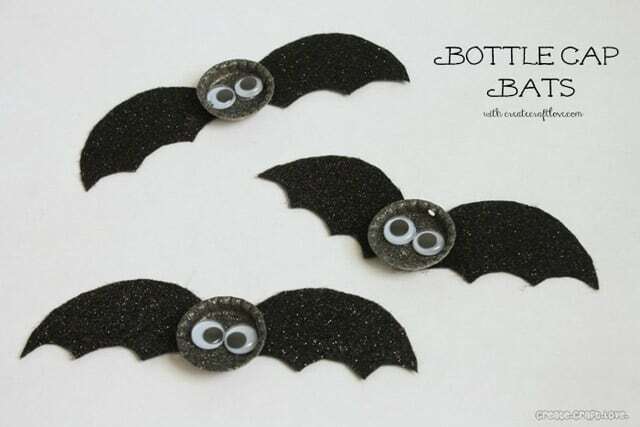 Jill and Desiree, these are SOOO cute and I totally want to make some, too! Thanks for sharing and pinning! Have a happy Friday and a great weekend! Thanks so much, Cindy! They were so much fun to make!